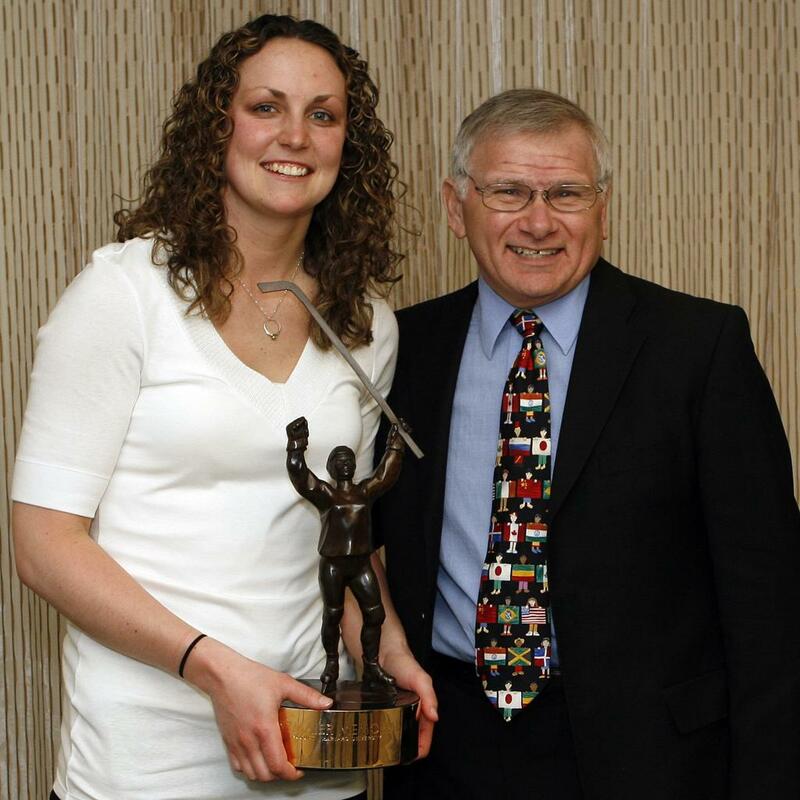 BOSTON – Jessie Vetter (Cottage Grove, Wis.), a senior goaltender from the University of Wisconsin, is the 2009 Patty Kazmaier Memorial Award winner. In its 12th year, the award is presented annually by The USA Hockey Foundation to the top player in NCAA Division I women’s ice hockey. 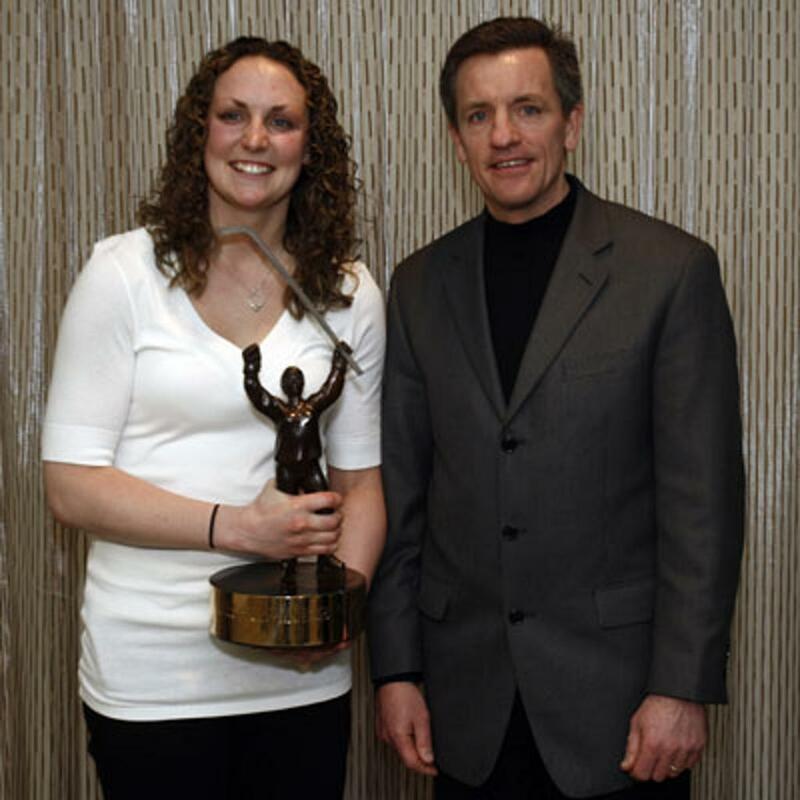 Vetter received the award here today at a brunch ceremony at the Royal Sonesta Hotel Boston. She was chosen from a group of three finalists that also included Meghan Agosta (Ruthven, Ont. ), a junior forward from Mercyhurst College, and Sarah Vaillancourt (Sherbooke, Que. ), a senior forward from Harvard University. "Jessie is the backbone of our team and without her, similar to our last three seasons, we wouldn't be where we are today," said Wisconsin Head Coach Mark Johnson. "She has certainly proven that she is not only the best goaltender at the collegiate level but internationally as well." 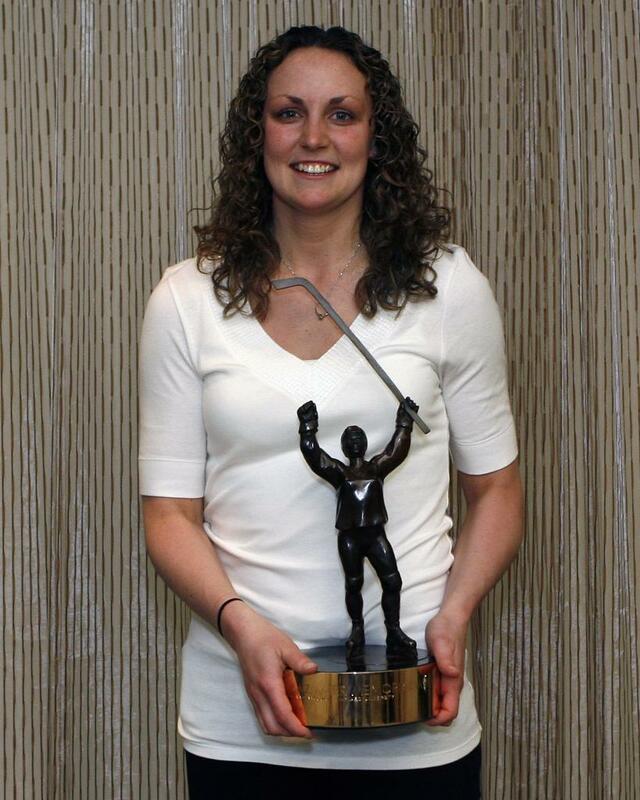 Vetter has backstopped the Badgers to unprecedented success throughout her career. She has been between the pipes for all but one game this season and has posted 31 wins, including last night's 5-1 victory over the University of Minnesota Duluth to send Wisconsin to the NCAA championship game for a fourth straight year. Her efforts helped the Badgers garner a No. 1 ranking for 13 weeks of the regular season. Vetter’s 13 shutouts in 2008-09 set a new NCAA record, while her 38 career shutouts and 89 wins also both rank tops in the NCAA. She has started the last three NCAA championship games and is 9-1-0 in NCAA tournament action going into Sunday's game (12 p.m. ET, CBS College Sports). The Badger alternate captain holds a 31-2-5 record and leads the nation with a .940 save percentage and 2281:55 minutes played. She ranks second overall with a 1.29 goals-against average and her .885 winning percentage is fourth in the NCAA. In Western Collegiate Hockey Association play, Vetter held a 21-2-5 record and ranked second with a 1.50 GAA and .931 save percentage. For her efforts, she garnered First Team All-WCHA honors. In the conference tournament, Vetter made 40 saves in two wins, including 15 against then top-ranked University of Minnesota to capture the championship. She was named to the all-tournament team and garnered WCHA Final Faceoff MVP honors. During the regular season, Vetter earned WCHA Defensive Player of the Week honors on Oct. 29 and Feb. 4. In addition, she earned USCHO National Defensive Player of the Week in consecutive weeks (Oct. 29 and Nov. 4). Off the ice, Vetter has been involved in the local community in Madison, Wis. She has made presentations at multiple schools including Taylor Prairie, Waunakee Arboretum Elementary and St. Jerome. Further, she participated in the Easter Seals golf fundraiser and visited the Ronald McDonald House. NOTES: Jessie Vetter is the second Patty Kazmaier Memorial Award winner from Wisconsin (Sara Bauer-2006) … The 2009 Patty Kazmaier Memorial Award brunch was held in conjunction with the NCAA Women’s Frozen Four, which will conclude with the championship game between Wisconsin and Mercyhurst College tomorrow (March 22) at 12 p.m. ET at Boston University's Agganis Arena … NESN's Kathryn Tappen served as the master of ceremonies of the 2009 Patty Kazmaier Memorial Award ceremony ... 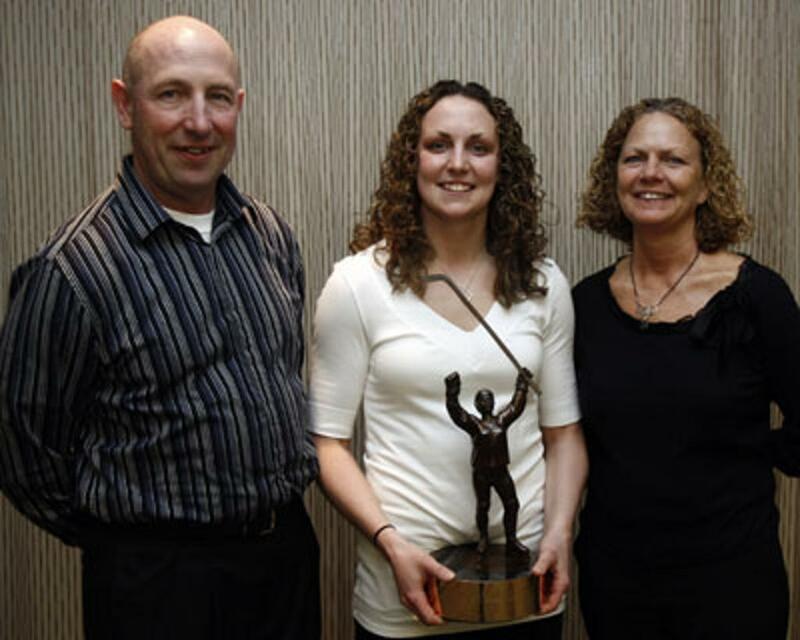 The Patty Kazmaier Memorial Award recipient is chosen by a 13-member selection committee comprised of NCAA Division I women’s ice hockey coaches, representatives of the print and broadcast media and a representative of USA Hockey, the National Governing Body for the sport of ice hockey in the United States … The Kazmaier Award is supported in part by a grant from the National Hockey League Foundation ... For more information on the Patty Kazmaier Memorial Award, visit PattyKaz.com.